Welcome to a carefree and easy going lifestyle in "The Meadows." 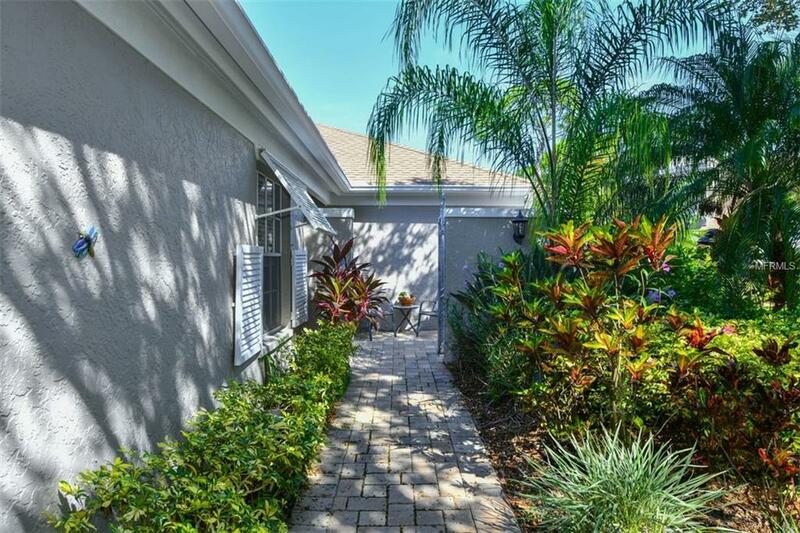 Surrounded by mature landscaping and located on a small cul-de-sac, this will ensure the privacy that any new owner will be looking for. The courtyard entry is so inviting with its lovely tropical foliage. 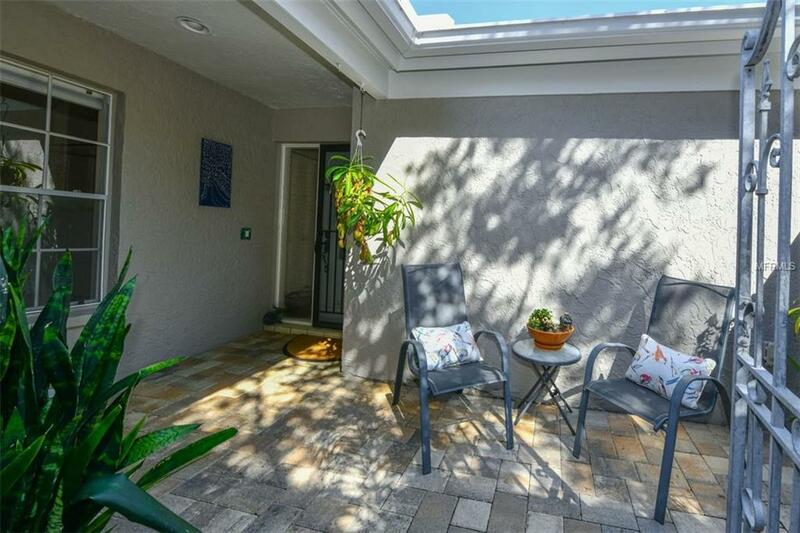 Stunning nature and pool views from the glass enclosed lanai offer peace and tranquility in a home that is so close to all that Sarasota has to offer. The great room has lovely built-in shelving around the wood-burning fireplace. The kitchen and bathrooms have been recently updated. 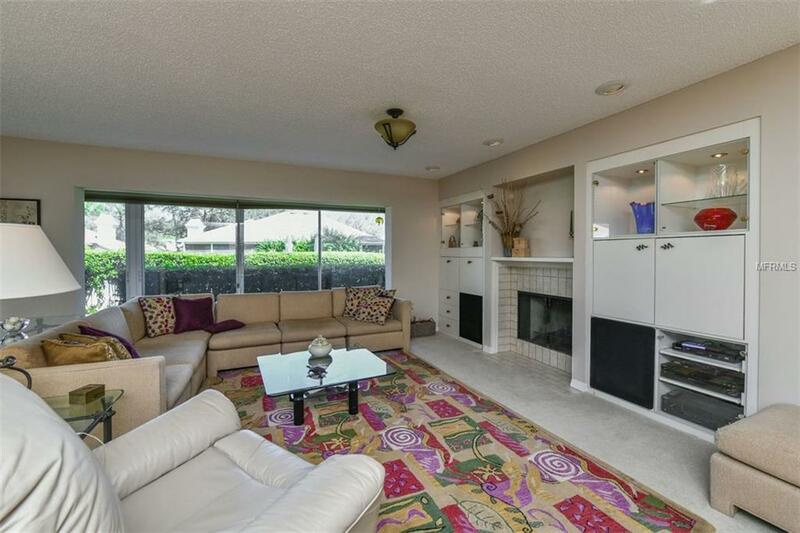 This split plan layout with both a screened in and a glassed lanai offers the flexibility of an in-home office or den. This end unit villa is very light and bright and has a spacious kitchen with coffee bar and pantry as well as an en-suite laundry. There is also a new paved walkway and driveway and a new air conditioning unit. Chambery has solid financials and an active social committee handling many activities. The Meadows offers miles of walking and nature trails, a butterfly garden, shopping village with 3 restaurants, pickleball courts and a playground. 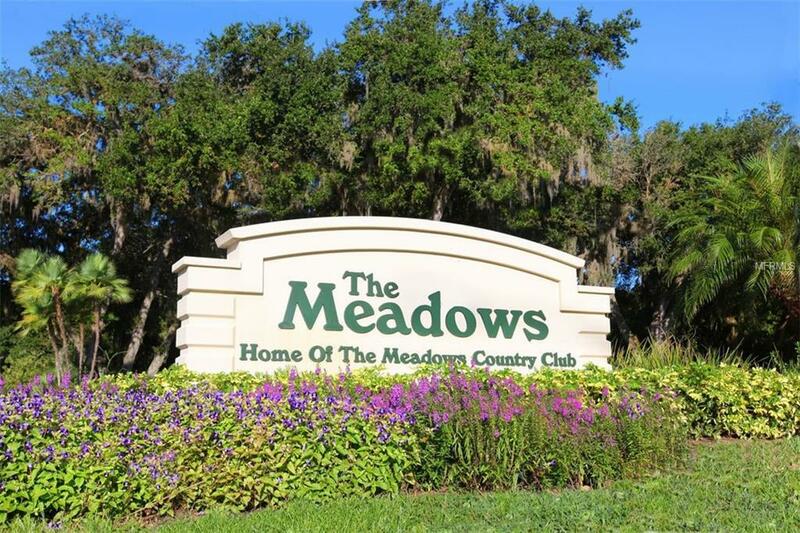 The Meadows Country Club offers 3 18-hole golf courses, 17 Har-Tru tennis courts, 3 restaurants, a fitness center, Jr. Olympic pool and much more. Located minutes to downtown, the airport, beaches, theatres, dining, rowing and the new University Town Center Mall. Come see what the Meadows and Chambery have to offer.